Despite the massive strides the State of Oregon has taken to bring their court operations into the 21st Century of late, no amount of technology will ever fully remove the necessities of human interaction with paperwork. Consequently, when case documents are ordered for manual retrieval from any of the Oregon State Courts, new policies and procedures that have been instituted alongside the new technology may themselves cause delays in turnaround time. In the example of a brand new case filing, though a document may be listed on a case’s docket on a publicly available case report, the case file itself may still be in the process of being electronically scanned into the court’s database, and is not yet available to public access. And depending on the volume of case files needing to be scanned-in at any given time, delays may result – from as little as a few days to a week – in some documents being available for retrieval. 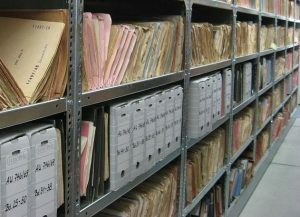 In instances of older case files that have not yet been scanned into the system, if even a single document is requested for retrieval, the county may take that opportunity to scan the entire case file into the system for future reference, rather than risk scanning different parts of a single case piecemeal over time. Each county handles this situation in their own way. Such delays are not a certainty when Oregon documents are ordered for manual retrieval via CourtTrax, but they do occur regularly and are essentially unavoidable. If you have any questions regarding document retrieval or any other of our services, please contact us at customerservice@courttrax.com.